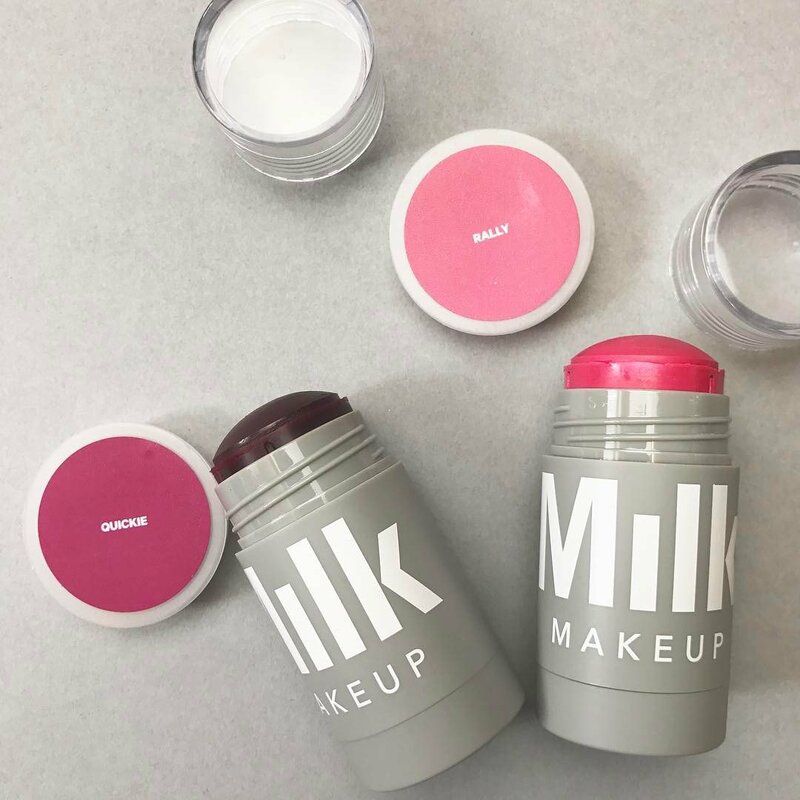 Described as the ‘stick that does both’, these products from the fab brand Milk Makeup caught our eye with their quirky design and their natural approach to makeup and skincare. These multi-use sticks can be used on both the cheeks and face, which can look quite stunning as it helps to pull a look together – here are our thoughts. What’s great about this product is the ingredients. Enriched with castor seed oil, avocado oil and mango butter and more nourishing ingredients, it leaves the lips and cheeks feeling hydrated. Due to the amount of oils in these products, it feels quite wet when applied to the skin, but it doesn’t look it too much once it dries down. It is very buildable, so you can work with a sheer wash of colour or build it up into something more intense. 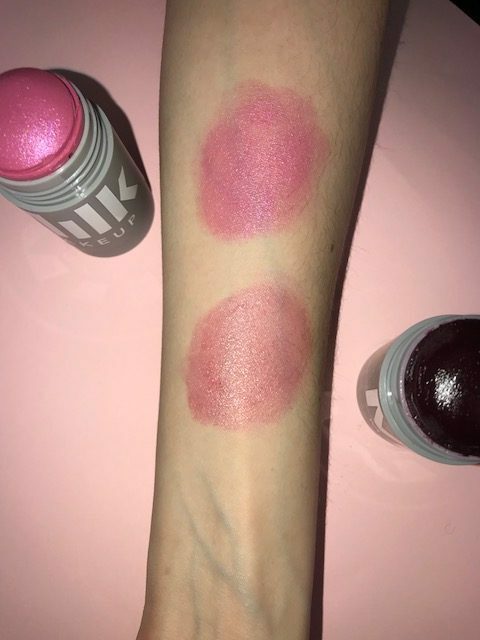 The picture above is the product unblended on the skin. We like the effect it has on bare skin, it leaves you looking glowy, but it also plays well with foundation. Jessica finds that some more liquid/cream products makes foundation underneath break up, but these sticks do not do that. They melt into the foundation flawlessly. We’d recommend using it with a more dewy foundation, as the texture of the sticks means the effect is very glowy and so it looks a lot more natural and blends well together with a more dewy foundation. It might not be something that someone with oily skin would enjoy… it might be a little too much glow! What’s interesting is that as you can see in the picture, when first applied the two colours look very similar on Jessica who has a light skin tone, but when blended in on the cheeks they look very different. 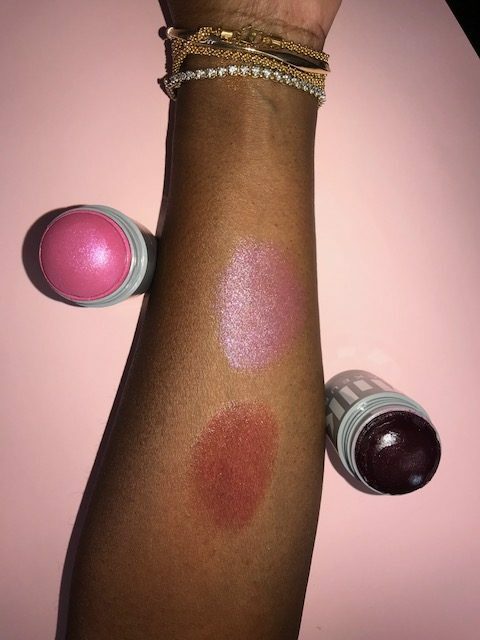 ‘Rally’ which is a mauve shade with shimmer works well with her skin tone, it applies pink on the skin and gives a nice bit of glow to the skin because of the glitter in the product. A very light hand is needed when using ‘Quicky’ on Jessica as it can make her look very flushed very quickly – this one is a berry shade. It has no glitter or shimmer to it. Here’s Denise’s thoughts, who has a deeper skintone: These products are easy to use and come in shades to compliment all skin tones. Personally the darker shade ‘Quickie’ looks good on my skin tone and would also suit darker tones. I love multitasking products and this is fab at providing a sheer colour wash effect, so I’ve worn it on my lips and eyelids as well. 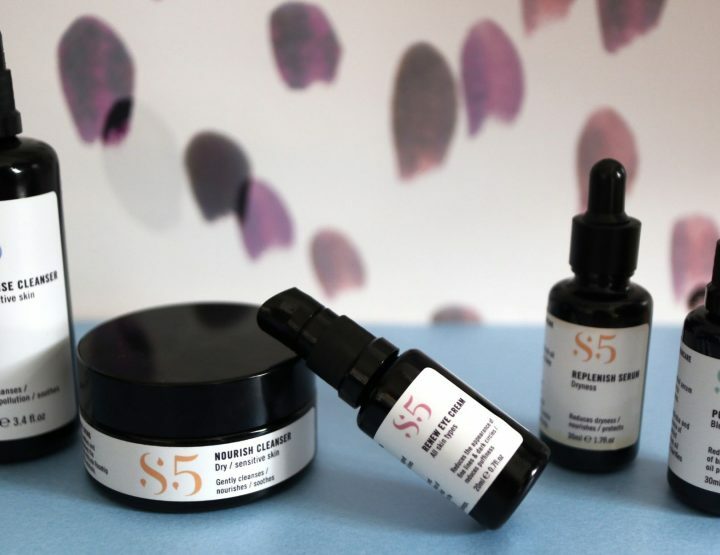 Dot onto the cheeks or apply to lips for a hint of colour and hydration. Blend as needed. 4 Body Washes that will bring Spring into your bathroom!